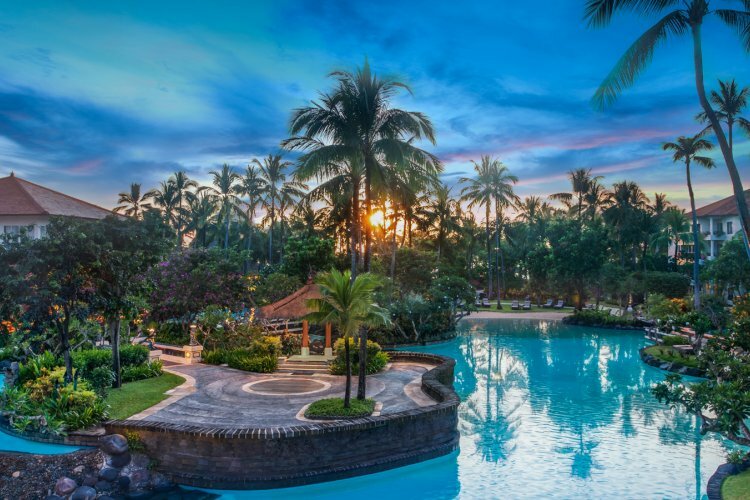 Located in Nusa Dua, The Laguna - A Luxury Collection Resort and Spa is the perfect place to experience the breath-taking scenery and warm hospitality that Bali is renowned for. Guests will be transported to a magical world, surrounded by crystal-clear lagoons and beautiful gardens, with stunning views of the two pristine beaches. The resort offers unique and personalised services, providing a seamless and unforgettable experience. 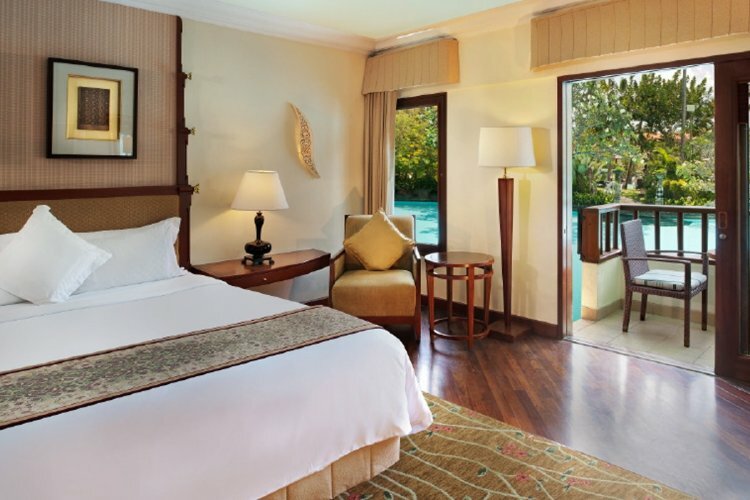 Rooms and suites are elegant and serene, with traditional Balinese features that add a majestic charm. Guests are spoiled with picturesque views and luxurious amenities, in addition to the resort's 24-hour butler service. Guests in a lagoon access room will have private steps that take them directly to the sparkling lagoon and those in villas will have their own private pool. Set on a white, sandy beach, guests can enjoy a range of water sports activities, snorkel, kayak or relax under a gazebo. Take a dolphin tour or a scuba diving tour, and explore the diverse sea life. There are two small public islands that guests can access directly from the beach. The resort boasts two Jacuzzis and a pool area. Lagoon Spa offers a relaxing and serene experience, offering a variety of indigenous treatments. The 24-hour fitness centre overlooks the glistening lagoon. A personal trainer is on hand for exercise tips and advice. There are also table tennis and tennis courts on site. Children can visit the children's club at the resort's sister property, The St. Regis Bali Resort. A diverse and delightful dining experience awaits guests at The Laguna - A Luxury Collection Resort and Spa. Set on the beach, Arwana specialises in gourmet seafood, with an open-air kitchen and a sushi and oyster bar. Banyubiru overlooks the stunning lagoons and gardens offering pan-Asian and international dishes. Cornerstone features a deli, offering homemade ice cream, snacks and pastries. It is the perfect choice for intimate dining with a wine cellar and a private room that seats up to ten guests. Have an exotic cocktail at Kulkul beach bar. Escape to a unique paradise at The Laguna - A Luxury Collection Resort and Spa.